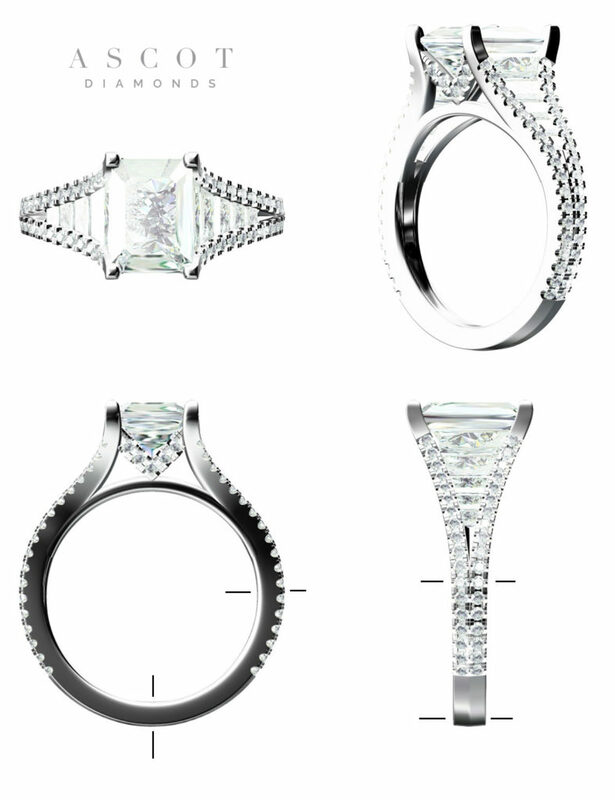 It is our pleasure to collaborate with you to turn your vision into the jewelry of your dreams! With over 40 years of experience in handcrafting and creating custom jewelry, you will be in the best of hands with our team of highly creative and award winning designers. 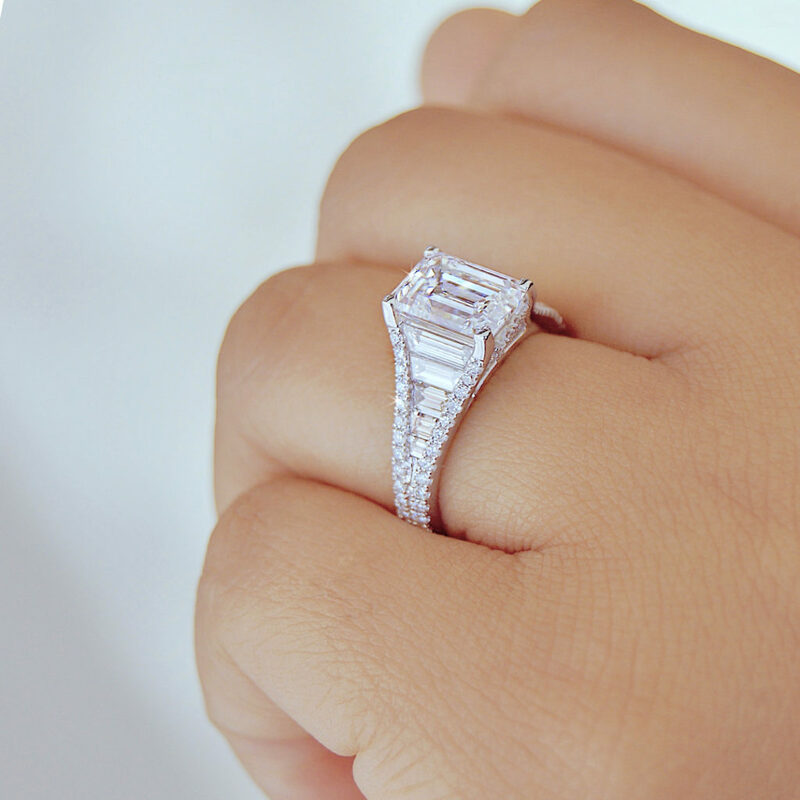 Whether you choose to have a piece made for an engagement, anniversary or any other celebration we are here to guide you through the process every step of the way. Our team of highly talented designers will start by having a detailed conversation with you to gain a precise understanding of what you envision and from here the magic happens. Your designer will create a computer drawing, hand drawn sketch or watercolor rendering, drawn to scale showing every design element and detail. Your personal designer will work with you to edit the design until you are fully satisfied. Upon approval, the artwork is sent to our shop where our master jewelers work directly with your designer to ensure your piece receives all the attention to detail it deserves. 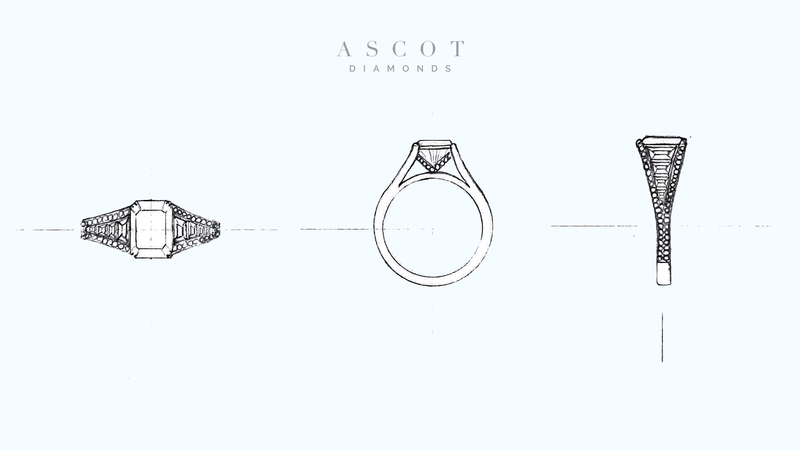 At Ascot we are committed to excellence and impressing you with quality and attention to detail beyond your expectations.